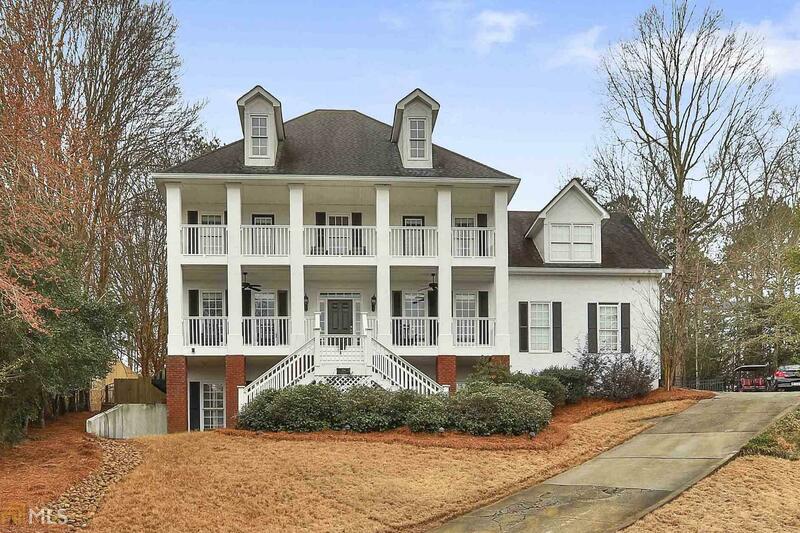 STEP INSIDE THIS RECENTLY RENOVATED SOUTHERN SHORE HOME AND YOU&apos;LL KNOW YOU HAVE ARRIVED! The first floor features refinished hardwoods throughout, generously-sized dining, living, family room and masterfully designed gourmet kitchen that includes a over-sized Island and Copper farm house sink! Access the second level via the dual staircase and experience a newly renovated Owners retreat with sitting area, private balcony, office and Ritz-Carlton inspired bath along with three secondary bedrooms. The finished terrace level includes a bedroom, office, theater room, custom-made bar and a full bath. Outside you will experience an ENTERTAINERS OASIS! Newer PebbleTec pool with waterfalls, covered porch, basketball court and play area. Award Winning Schools! Directions: From I-85 South Take Exit 61, Turn Left Onto Hwy 74, Turn Left Onto Kedron Drive, Turn Left Into Southern Shore, Turn Right Onto Avalon Way. Home Will Be On Your Right, 719 Avalon Way.